What is included in PPT? We’re now offering the Special Circumstances Pack, with new and updated lessons to reach your clients in the most important areas of their lives. The pack includes 4 modules and a total of 20 lessons. Module 1 - Covers five difficult situations that your clients may experience. Each new video is carefully tailored to reach the hurting soul of each woman and offer hope and truth through God’s love and forgiveness. Covering the hard subjects of post abortion, relationship loss, domestic violence, pregnancy loss, and healing from abuse. Modules 2 and 3 - Help clients explore adoption. To overcome the natural hesitancy of client advocates, we’ve included a DVD that trains them how to present adoption as an option, and how to get beyond the client’s first negative reaction. Each lesson in the two modules includes a companion segment offering additional training for your advocates. Thank you for watching this 15 minute preview. The full video is longer and is available for purchase. The Adoption Option: Overcoming the Myths A training video for anyone in a position to present the option of adoption to an expectant parent. Viewers will learn about the eight myths of adoption and how to dispel those myths. Birthparents and adult adoptees share their stories, and adoption and pregnancy care experts offer practical ideas for presenting the adoption option to clients. Includes music video of Christian artist Mark Schultz and his testimonial about his adoption and one training manual booklet. Birthparents who have made an adoption plan for their children can help you understand the range of emotions they experienced throughout the adoption process. They explain what led them to make an adoption plan and what it was like to give birth to a child they entrusted to another family's care. Open adoption is portrayed as a positive option and birth grandparents are also included. 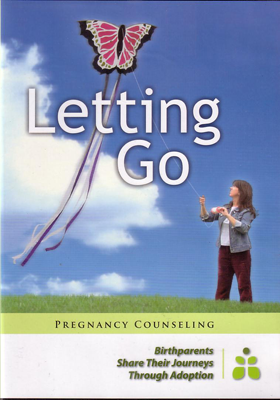 This video and companion guidebook are effective counseling tools to use with birthparents who are considering or have already made an adoption plan. 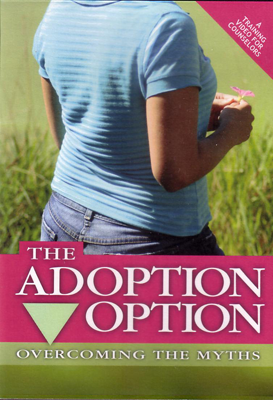 The book is a handy guide to the ins and outs of the adoption process. 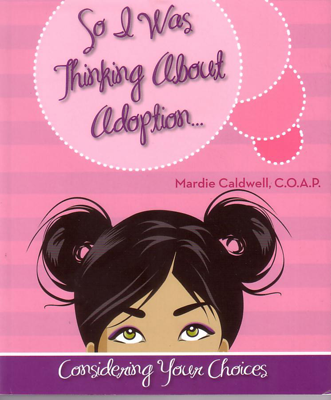 It gives you caring, honest answers to your questions about adoption. Overflowing with information. Packed with resources for families in crisis. Excellent! No other book like it on the market! Lesson 2.4 - Will There Be Pain? EWYL is curriculum that makes a difference in the lives of thousands around the world. We are here to help you make an even greater impact. Just give us a call or drop us a line and we will give you the information you need to start on the EWYL path. PPT is curriculum that makes a difference in the lives of thousands around the world. We are here to help you make an even greater impact. Just give us a call or drop us a line and we will give you the information you need to start on the PPT path.